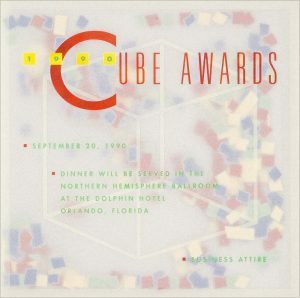 The announcement of the Cube sales award banquet is a translucent, square enclosed pocket holding colorful square confetti. 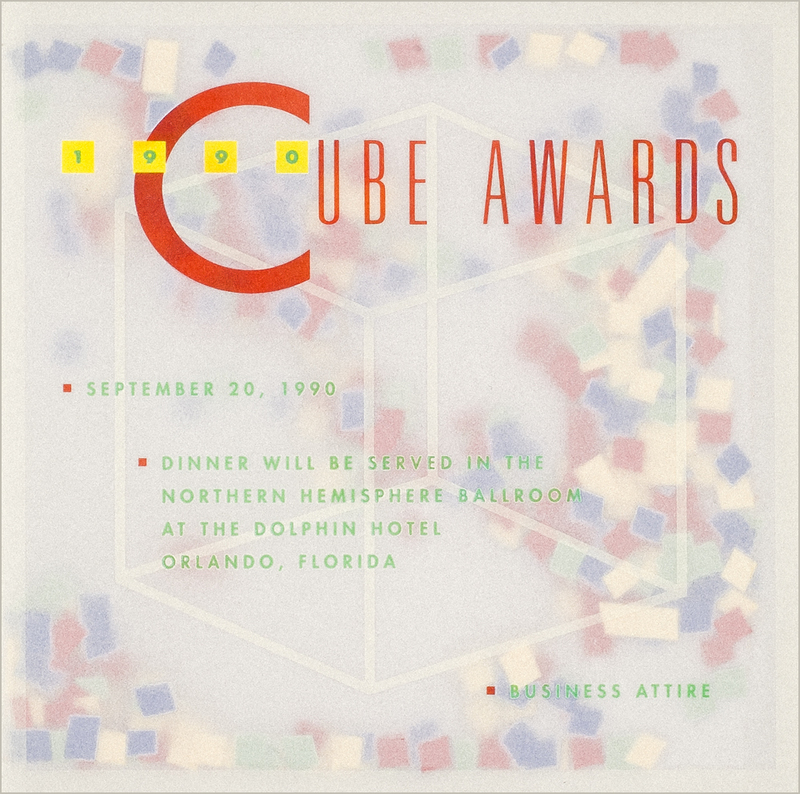 The program for the ceremony announces the program and Cube award recipients. Size Announcement: 4.75" square. 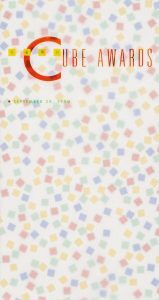 Program: W 4.25" x H 8"
Paper/Material Translucent cover, white ribbon. 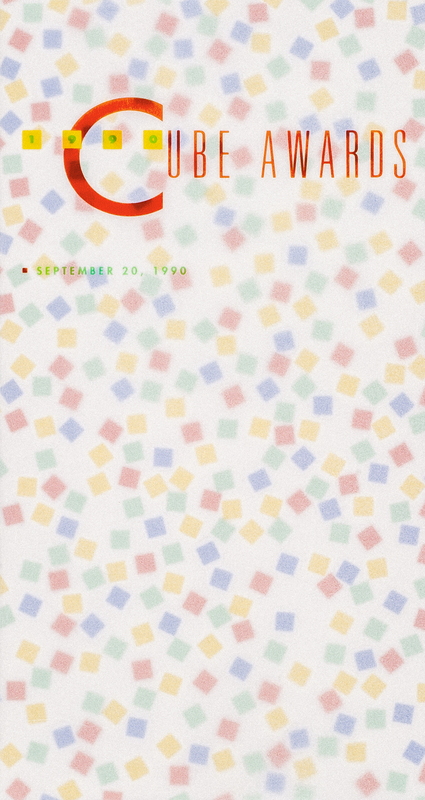 Techniques Offset printing, 5 spot colors. Announcement: Scored, folded, confetti inserted and sealed on 3 sides. Program: Scored, folded, colated and white ribbon tied by hand.